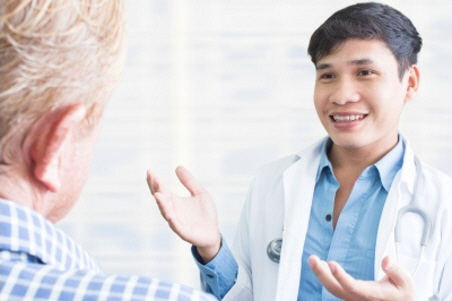 When you go to the doctor, sometimes it's hard to know what to say or ask. Planning for your visit and asking questions will help you understand more about your health and wellbeing, and any treatment you need. Your doctor, nurse and others included in your health care want you to ask questions to help you make decisions together. N stands for Note down what you need to do next. Write down your main concerns or questions. Make a list of your medicines and any supplements you take. Also take along any documents that could be useful, such as your "yellow card" or hospital discharge letter if you have one. If it will help you, take a support person with you and ask for an interpreter (when you make your appointment, say you need an interpreter, and allow at least 24 hours). Say if you don't understand and if a drawing could help. Say if you're having problems with your medicines or treatment or can't afford them. Tell your doctor or nurse anything else you can think of that might affect your health and wellbeing. What can I do to help with my health and wellbeing? Take a pen and paper so you can write down anything you need to remember. You can print this page and take it with you to help you remember what to do and ask. How and when do I take it? How long do I need to take it for? What could happen if I stop taking it? What are the side effects? What should I do if I get these? Written by the Health Quality & Safety Commission. Adapted by HealthInfo clinical advisers. Last reviewed April 2018. Last updated August 2018.